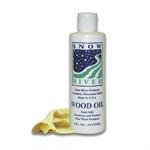 This oil is perfect for many types of wood including: maple, cherry, walnut and bamboo. Over time, oiling will preserve and protect woodenware from splitting and cracking. With rough hewn acacia wood handles and stainless steel blades, our Country Home Cheese Set is perfect for serving an assortment of cheeses. Includes 3 cheese tools: Chisel, Knife, Spreader. 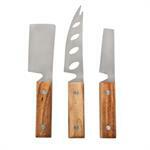 Each as a stainless steel blade and Acadia (Ironwood) handles.